MANILA –Three community development students of the University of the Philippines (UP) in Diliman were in Porac, Pampanga to learn about the lives of the Aeta community. They did not expect they would be tagged as New People’s Army (NPA) guerrillas for doing so. Since December, Rafael Antonio Dulce, 25; Marie Gold Villar, 23; and another student who refused to be identified were at the Katutubo village or Tent City in Porac, Pampanga conducting field work as part of their academic requirement. The village is a relocation site where Aetas have lived after the eruption of Mt. Pinatubo in 1991. On January 21, at around12:00 noon, the three students were trekking the mountains going to barangay Camias where they were invited by barangay officials to attend the town fiesta. On their way, a man in civilian clothes called out the group. The man, who introduced himself as Paul from the Department of Public Works and Highways (DPWH) Region 3 office asked for Villar’s name and started interrogating her. Three more men in civilian clothes came towards them, said Dulce. The men, said Dulce, kept on asking questions. Dulce then explained the objectives of their integration at the Katutubo village and that they were invited by barangay officials in Camias to visit their community. “Then their line of questioning became different and suddenly they were accusing us of being members of the NPA,” Dulce said during a press conference, Jan. 26. As Nigeria spirals into instability, historian and economic researcher Frederick William Engdahl argues a recent government decision to lift subsidies on imported fuel in the oil-rich nation bears the mark of Washington Consensus shock therapy. In the article below, Engdahl explains his view. Police in Oakland, California, have used tear-gas and flash-grenades as a 2,000-strong Occupy Oakland march turned violent, with some protesters claiming that rubber bullets were also fired into the crowd. At least 300 people were arrested. Having considered the toughness of the rock-hidden Iranian nuclear facilities, America’s Nutcracker military command has decided to save jaw and develop a new conventional superbomb, since the US still plans to do the job in Iran without nukes. ­Washington has once again reminded Tehran that it has the military capability to crack Iranian hard-target nuclear sites with conventional weapons, leaking to the Wall Street Journal plans to develop an even more effective bunker-buster bomb. It is not often that such an injunction is heard —especially in the secular sphere. God was invoked and His name was used. Even for this reason alone, it is but proper to consider the different significance and nuances of this admittedly sacred and solemn invocation made on the occasion of a basically political exercise. It can be readily noted that the cited supplication can be intended as a blessing, an insult or curse. \"Not a priority,” President Noynoy Aquino replied to the media when asked about the front page capture of Secretary Ronald Llamas buying in bulk some two thousand pesos worth of pirated DVD’s. In short, he is on track of being at odds with media, as if telling them, “You guys, don’t dictate my priorities.” But news media, being the Fourth Estate, have all the power to focus or fine tune the priorities of the government whether favorable or not to the sitting power. However, the whole physique of Secretary Llamas may not block the “daang matuwid,” but his horns, wings and tails may hit some sensibilities as he heads through the narrow alleys. WASHINGTON — The United States has welcomed the Philippines’ offer to allow more US troops on its territory, saying it would boost US power in Asia, and assured it was not seeking to re-establish bases in the former colony. The Philippines the other day said it planned to hold more joint exercises and to let more American troops rotate through the Southeast Asian country which is embroiled in increasingly tense territorial disputes with China. The Puerto Princesa Underground River (PPUR) yesterday was confirmed as one of the New 7 Wonders of Nature. The local police are now digging deeper into the possible involvement of the notorious Dominguez carjacking group in the killing of a lady witness in Bulacan on Thursday shortly after she attended a court hearing. Cristina Rojas, a gas station owner and businesswoman who testified before the court against brothers Raymond and Roger Dominguez said to be the leaders of the Dominguez cartheft syndicate operating in Bulacan province and nearby towns and cities, was shot inside a passenger jeepney by one of the passengers along MacArthur Highway in Malolos Bulacan on Thursday, the report said. DARAGA, Albay — Passion builds up as Albay’s newest and most historic tourism attraction, the Cagsawa Festival, kicks off here in February this year. The festival is expected to further rev up the spirited tourism drive of the province. Albay Gov. Joey Salceda said the Provincial Capitol here and the Municipal Government of Daraga, led by Mayor Gerry Jaucian, have forged the partnership that gave birth to the Cagsawa Festival, which was immediately elevated to the category of Albay’s two other important provincial festivals; Magayon and Karangahan. The Bureau of Jail Management and Penology (BJMP) sacked the jail warden of Batangas City jail from his post for alleged scam for pocketing millions of pesos from the daily food allowance for the inmates. Sacked from his post was Chief Insp. Deogracias del Castillo. He was replaced by Senior Insp. Emmanuel Banawag as Officer-in-Charge (OIC) of Batangas City jail. A Quezon City councilor is seeking the support of his colleagues at the Sangguniang Panlunsod for the immediate passage of his proposed measure aimed at exempting the city’s senior citizens from the number coding scheme being implemented by the Metropolitan Manila Development Authority (MMDA). According to Councilor Marvin Rillo, his proposed ordinance is in line with the city’s continuing effort to expand the delivery of basic services to its elderly residents in recognition of the vital role they play in the task of nation-building. 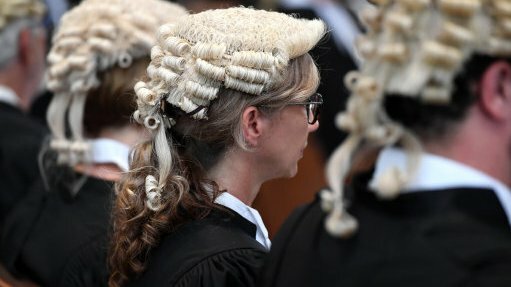 Prosecutors threaten trial walk-outs in CPS pay row - Lawyers complain about low fees for prosecution work, with 95% saying they would support a walk-out.